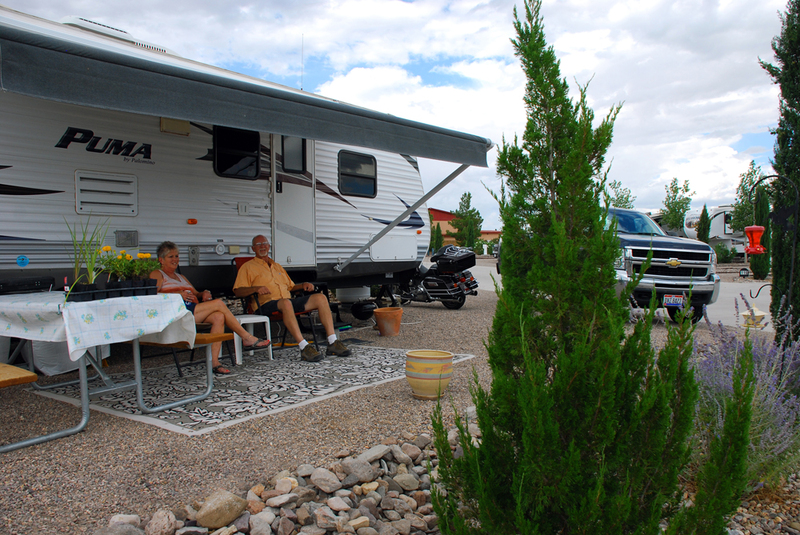 Elephant Butte Lake RV Resort offers 140 full hook-up sites with big rig, level sites up to 100 feet. 20, 30 and 50 amp service is available. We have daily, weekly or monthly rates, covered patios with picnic tables and BBQ grills by the lounges. Elephant Butte Lake is the largest lake in New Mexico and has plenty of water for public use and includes two marinas. Caballo Lake (30 miles south) has one marina and is great for fishing & other water activities. Boat rentals of all kinds, such as houseboats, jet skiis, and ski-boats are available at the Elephant Butte marinas. Just minutes from Elephant Butte Lake RV Resort you'll find Historic Villages, Hot Mineral Baths, Geronimo Springs Museum, Veterans' Memorial Park & Museum, Pioneer Store Museum and Spaceport America. Elephant Butte Lake has excellent fishing. Fish for Stripers and other types of Bass, Walleye, Blue Catfish, Sunfish, Bluegill, Crappie and Trout. You may enjoy exciting water sports: Sailing, Boating, Windsurfing, jet-skiing, Waterskiing, Canoeing, and Swimming.